For sure, Tanzania is a highly positive example of online gaming regulation among African countries – the Tanzanian legislators have done a great job on that, way ahead of their time, when the Gaming Act came into force (in 1999), and the Gaming Board of Tanzania was established (in 2003). 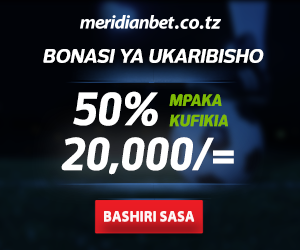 However, the Tanzanian online sports betting market itself is still “underdeveloped”. Why? Gambling operators need to have a minimum amount of players to cover their operational costs, and there are not enough Tanzanians who want to wager online… YET. But their number is growing every day, and following up on this article in 5 years’ time might reveal a completely different scenario. Second, the supply is not quite developed yet. This is good news for foreign Internet betting providers coming to Africa. Entering the Tanzanian betting circus still offers a lot of opportunities. At the moment, you can count all Tanzanian online sports betting websites (iPlay8Casino, Premier Betting, Meridian) on one hand, although most of the big international operators also accept players from Tanzania. Another important issue is the question of secure online payment services availabe in Tanzania: if you gamble online, you need to send an receive money (and can’t just wander from one sign-up bonus to the other). Most Tanzanians do not have a credit card, or even worse: not even a bank account. However, literally everybody uses mobile payment services (tigo pesa, m-pesa, airtel money). If international sports betting operators had a presence in Tanzania, they could accept these domestic mobile payment methods, and they could instantly receive money from all Tanzanian players. Tanzania is the only regulated online gambling market in Africa at the moment. I wonder why none of the big bookmakers took action yet, entering the Tanzanian market.